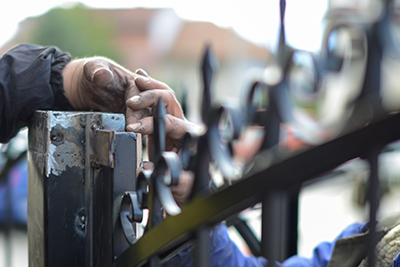 If you are looking for some clear cut answers to some gate repair related questions, you will find plenty of them here below. 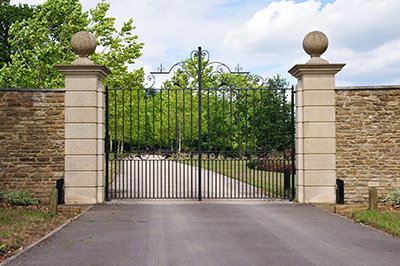 Read the following frequently asked questions and the answers that go with them to find out how to handle various gate related issues and what to do to avoid some of them. 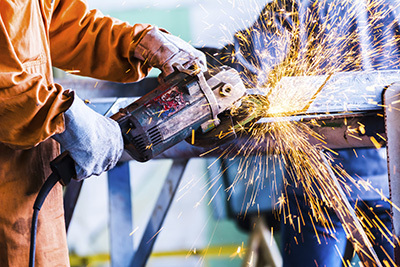 Why do I need gate welding services? Some parts of iron gates are welded on. Welding is the technique of joining two metal parts together. It is used in the gate industry in order to create ornamental iron gates and mostly in fixing parts which have been damaged over the years. Swing gate hinges are usually welded-on and when they are ruined over the years, you will need welding services so that your swing gate won't sag. Nowadays, the safety features of residential gate openers are truly reliable and it's unlikely that you will ever face such problems. As long as the opener is properly functioning and maintained, you don't have to worry about entrapments. That said, you shouldn't test the limits of your gate either. Don't forget that such systems are automatic and exposed to elements daily. Sometimes, problems pop due to external factors. If you keep your distance and maintain the opener, you'll be alright. What causes an automatic gate to open by itself? While signal interference is a possible cause, such an event is highly unlikely to occur, given that modern transmitters and receivers usually have dual and sometimes even triple frequency operation. Usually, the gate opens by itself when there is a short in the remote control. The short causes the remote to keep emitting a signal so after closing, the gate opens once again by itself. Replacing the transmitter will solve the problem.